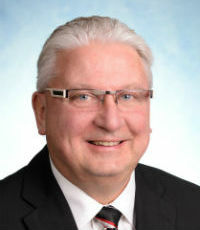 Representing the small town of Bonnyville, Alberta, Ronald Rusnak returns to WPC’s Top 50 Advisors list for the second year in a row with AUM growth of $9 million. Rusnak now manages a total of $115 million across 671 clients. When discussing the most challenging aspects of the job, Rusnak highlights regulatory pressure – a common bugbear among his peers. “It’s being able to manage the ever-changing compliance field, as well as helping clients understand everything you do for them so that they can achieve their goals,” he says.